This is the first post in a new feature on UU A Way Of Life which is called, "Spiritual Reading." I average 15 minutes of spiritual reading every day and will be featuring notes on the books I am reading. If you have a book you would like to feature or comment on, please forward the information to me in the comments or by sending me an email at davidgmarkham@gmail.com. The book being discussed is "Ah, This!" by Bhagwan Shree Rajneesh who later changed his name to Osho. This is a book on Zen and based on talks which Bhagwan gave at the Shree Rajneesh Ashram on Poona, India from January 3 - 10, 1980. This is the meaning of education which comes from the Latin word, "educare" which means to lead out or call forth. Unitarian Universalists know that there is no single path to Godliness, the Divine. UUs teach that there are many roads to Rome, many ways to skin the cat, and if you meet the Buddha on the road, kill him! We must find our own way and this free and responsible search for truth and meaning is within not without. The Master can not give you the truth. 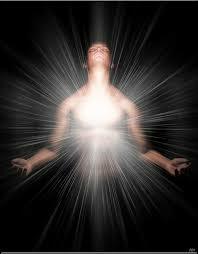 The Master helps you find your own truth which is already buried within you like a lustrous diamond. Labels: Ah, Spiritual reading, this! Le Dieu de l'islam n'est pas le Dieu du Coran.